JCS Home Services is rated 4.9 out of 5 based on 123 reviews from around the Web. Prompt and professional service. They came by and did a chimney inspection. I like the honesty! JCS fixed up our aging chimney and did a very thorough job. Jason and crew have always been great to deal with. I explained and the gentleman happily referred me to a company they work with that could help. I really appreciated that as most would not. They were extremely professional and did the work in a very organized and efficient manner. JCS is an amazing company that pays attention to detail and gets the job done right. They will be on my calendar for my dryer vent next year. They found a few cracks in my chimney top, explained why it is a problem, and provided an estimate to repair.They also did a great job cleaning my dryer vent, which is directly below a yellow jacket nest I had treated the same day. They were highly professional, prompt and provided a great service! Definitely going to use them again in the future! Great customer service and pricing. Hunter was very knowledgeable and provided great recommendations. Phenomenal service! I used JCS for dryer duct cleaning! The techs arrived in a timely manner and were very well-mannered. They were great. Will use them again for sure. Jason and Ben were awesome to work with. Extremely quick in response to set up power washing for our home. Professional and well priced. Explained everything, what was needed, what was not needed, and what can be expected in the future. Attention to details and extremely courteous. They knew what they were doing and were diligent. 5 STARS for an excellent service. Ben was such a pleasure to work with! Highly recommend this company! Professional and thorough. Someone else was here with the original owners and cut corners when fixing the dryer vents. Today Ben and Cameron arrived this morning ready to do our chimney inspection and clean the dryer vents which they did efficiently and effectively. I highly recommend this business. The company was early and very professional for the appointment date. Thank you very much. But I do know that they are honest and trustworthy (hard to find companies like this these days because they're all about money) and I'm definitely reaching out to them if I ever need their services! Highly professional! They were very responsive to my initial inquiry for dryer vent cleaning. The price was competitive. Jason and his crew are phenomenal! They are an honest company that wants to do right by the customer. I highly recommend JCS! Communication, punctuality, job execution, all top notch! Thank you. flawless and professional. highly recommend JCS ! Does not work outside Virginia, but graciously responded to a request anyway. JCS did a fantastic job cleaning my dryer vent - on a cold day in January! They were friendly, professional, thorough, and quick. They did an excellent job. We weren't able to be home and they came did the job and left us an invoice on the door. I would recommend again. Very professional team! Fair pricing. Great service.You can't beat the value and customer experience. Amazing crew they gave a lot of explanation and work with many housing associations. Couldn't be happier with their service. Last year we moved into a condo which required us to submit a fireplace inspection. Responsive, showed up on time, and gave a detailed explanation of the work performed. Could not ask for better service! We are a repeat customer and very happy with their services. They do their best to arrive within the window of time they provide. They are honest, well trained, and always put 100% effort. 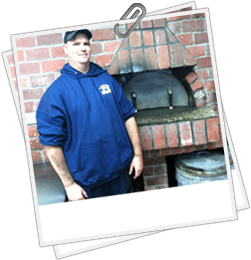 The owner, Jason is a hard working, honest, and reliable businessperson. Very knowledgeable and good people. Will use them again - no questions asked. He explained the work that was needed and quickly fixed the issue. Their staff were responsive, timely, quick and effective. I will certainly call upon them again in the future. The communication was clear and execution was great. The pricing was GREAT and the team that came out was courteous, clean and felt honest.I definitely would recommend the JCS team for any services that they offer. Very professional and courteous these guys showed up a lot earlier than we were set, for a dryer vent cleaning. They were friendly, competent, and willing to honor the price from our past cleaning. Just love this company!To be honest, they weren't our first choice but they were definitely the best. Anyway, I'd recommend them, they were professional and got the job done. I purchased a new dryer from Best Buy who did not tell me they needed the flexible tubing the dryer connected to be a solid metal tube. They were prompt, professional, thorough and well-priced. I called JCS and was able to get an appointment for the next day which was amazing.Two guys came out, and they were finished super fast.